Learn how to Crochet with rope so I can make a really big doily rug like the one here. Knit a really oversized cowl like the one I saw here. Knit my son a scarf before it gets too cold and I have to run out and buy one out of necessity (which makes me feel horribly guilty). 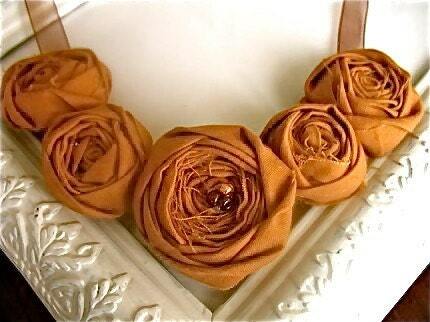 Make one of those fabric flower bib necklaces that are everywhere on etsy and SO cute. Get this new dvd on resin jewelry so I can know all the secrets. Make new place mats for my table (might have to settle for just cleaning the old one's really well though). Read a really good book- that's not about crafting or art and fiction. Finish Handmade for Profit by Barbara Brabec before it's due back at the library. Carve Jack- O' Lanterns with Jasper (this we're going to do after school today)- Fun!.